You can win a cool USD 10,000 or win 1 of the 4 iPad Pros. Plus, you get bragging rights to having conquered the GemJump Global Gaming Tournament crown. In CaliBurger branches all over the world, gamers of all ages will keep their eyes on the FunWall screens to make sure they stay on top of the leaderboards. 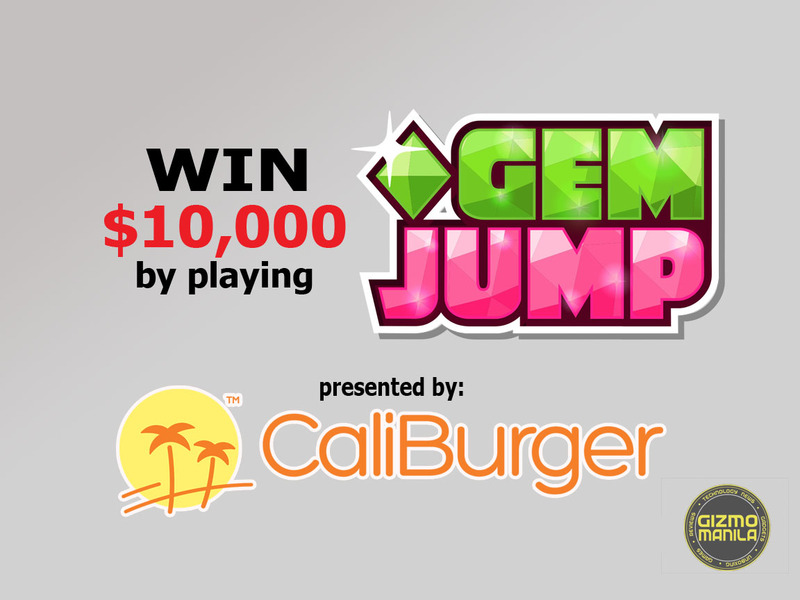 From now until October 9, 2016, you can play GemJump at CaliBurger in Timog Avenue, Quezon City. Download the GemJump App from the Apple iOS Store or Google Play Store. Tap the “Win $10,000 Play Now” button. Complete the “Sign Up” process. Hang out at CaliBurger and enter the tournament code located on the FunWall screen. GemJump is a game of skill that involves arcade jumper where you try to climb higher than your opponents by bouncing on floating gems. Each tournament is 3 minutes long. Each player can compete up to 10 times/day. The final score will be calculated from the mean average of your Top 3 scores. The FunWall is a CaliBurger innovation and fixture-an interactive video wall that offers a selection of multiplayer video games, where dining guests can participate in exciting, socially-interactive mobile gaming tournaments. CaliBurger is a 21st century revival of the classic California burger joint. CaliBurger provides a premium quality burger experience at an accessible QSR price. CaliBurger now operates in 12 countries including philippines. CaliBurger customers can enjoy a taste of California in an environment that looks, smells, and feels like you are in California. Download the GemJump App from the Apple iOS Store or Google Play Store and head to CaliBurger to start playing now! For more information, please visit www.caliburger.com/gemjump and the CaliBurger Facebook page.